Happiness is a highly wanted state for most people but it remains to be a lifelong quest for everyone. No one can just claim happiness for one moment, sit back, and watch it linger and stay. It does not discriminate too. Happiness is often associated with big smiles and boisterous laughter. There is more to happiness than those two. 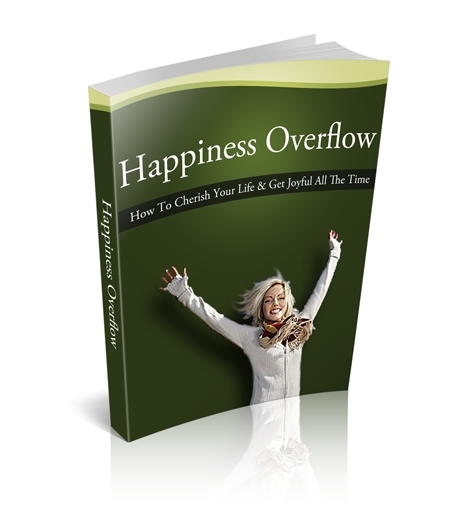 You will discover as you go along the book that happiness is not only defined by happy moments in one’s life. If this were the case, then no one would ever have the right to claim happiness. Happiness is not determined by what happens to a person. Happiness is a product of how a person reacts to the events that happen in life. Happiness is attained when a person steers life towards its direction. There is no single map for happiness that everyone should follow. It is a path discovered through individual experience. No one is vulnerable to challenges and obstacles in this earthly life. They make life very dynamic and if perceived in the right way, give the person a more meaningful existence. Most of all, conquered challenges will bring the person to real happiness. The person will linger in happiness knowing that he or she has enough capacity to grow, learn, and conquer all the challenges and trials. This guide will give you some guidelines. It is highly encouraged that you follow them but you should modify them according to your lifestyle as well.